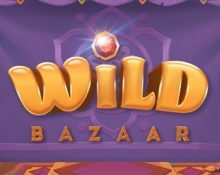 Wild Bazaar™ – Slot Preview! 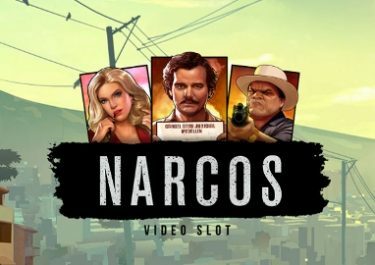 First details for the second new Netent slot in October 2018! 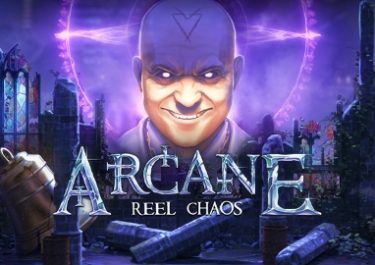 We just received news that a further new Netent slot has been added to the release schedule for 2018. Called Wild Bazaar™, the launch is planned for 24th October 2018, coinciding with the release of Halloween Jack™. Stay tuned and check back regularly as we will be revealing more details the soon they will be available. Update 10th September 2018: Our full review of Wild Bazaar™ is now available here. The central question is how the new slot will look and what features will be included. Netent has a few slots in their portfolio starting with the word “wild”, e.g. Wild Water, Wild Rockets, Wild Turkey or Wild Witches. The latter was in Flash format and hasn’t been converted to today’s standard HTML5. Could that be a pointer? After all, witches are well within the Halloween theme, which will be celebrated just a few days after the release. It surely would be a superb addition to their other new spooky season-themed, slot Halloween Jack™. We can’t wait to see what kind of features, pay mechanics and graphics the creative team at Netent will implement into the design of the new slot. However, so far, we do not have much information as to which format the new Netent slot will have and what kind of features and gamification it will provide as they keep the details close to their chest until a few weeks before the official release. Today, we can answer some of the questions. Wild Bazaar will be a video slot with five reels, four rows and 26 fixed pay lines. The game has low variance with an RTP is set at 96.15%. Bet sizes range from 0.20 to 400 credits. 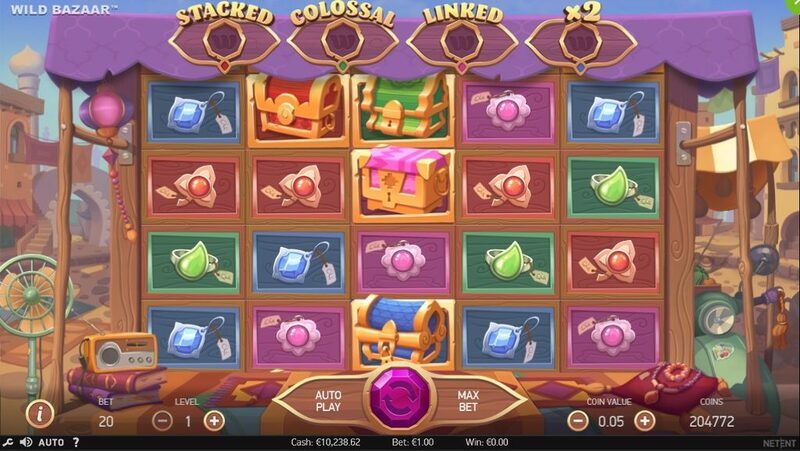 A choice of four Wilds Spins features will be triggered when minimum three matching chests land on a pay line. Each will feature a Wild modifier – stacked wilds, colossal wilds, linked wilds and x2 multiplier wilds. Pays for a single 5OAK range from 2x – 7.5x your bet. Maximum win in the Wild Spins features peaks at 390x bet. Comparing it to with other Netent slots, the TRTP should be as usual in the region of 96.00%, featuring a maximum win on a single spin well in excess of 1,000x stake. Bet sizes will probably range from $0.20 – $100 which can be adjusted by a click on the current bet amount from where players are led to a second screen showing the available bet sizes. Auto Play gives players the possibility to set a number of spins to be played with a range of options when the run should stop. The game will surely be in HTML5 format and available for play on desktop, mobile and tablet across all OS platforms. We are scouring daily the web and question our sources at Netent HQ to find more information on this new video slot. 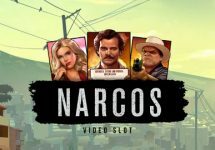 Rest assured, that we will update our post the soon we get to know more details about the new Narcos™ slot. Check back regularly to read the latest news. Meanwhile, you can browse through our reviews of all other Netent slots and enjoy them at any of our thoroughly vetted casinos!